Is there something you wish you would have been told about adulting in college before you learned firsthand? 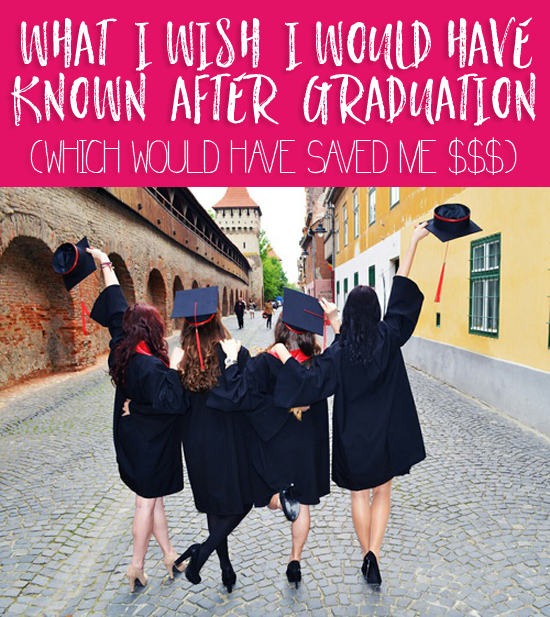 Zina shares her story of one of her costliest post graduate mistakes, we’d love to hear yours! When I graduated from college, I couldn’t wait for my first “big girl” apartment. I hadn’t ever had my own space before and was used to sharing a tiny room with other people or fighting over counter space in the kitchen. Unfortunately, I also quickly realized that living by myself was more expensive than I thought. I paid $550 a month for rent, plus internet and utilities. Almost 35% of my take-home pay was going toward my living situation. When I decided I want to try paying off my student loans as quickly as possible, I hit a road block. As much as I cut my grocery and entertainment spending, I had a hard time finding extra money. Then it hit me: most of my money was going toward my apartment. Let’s be clear, I wasn’t living in a high-rise loft. It was a modest one-bedroom in a safe part of town. But it was still a huge chunk of money to pay every month. When you’re trying to pay off debt or save money, cutting small expenses is a great first step. But you’ll see the biggest difference when you slash things like rent and transportation. For many people, their rent payment is their biggest individual line item in their budget. If you get a roommate to split a $700 apartment after living in a $600 studio, you’ll save $250 a month. That’s $3,000 a year. The same principle applies even if you’re living by yourself. When I moved apartments, I found a studio for $475 a month. But there was no dishwasher and I was worried about the cramped space. So I chose a one-bedroom for $650 a month. I regretted it almost immediately. If I had chosen the first place, I would’ve saved more than $2,000 that year. With a smaller place, I likely would have paid less in utilities. The next year, I finally got roommates again. After two years of living alone, I learned the hard way that having roommates is the best thing you can do financially after graduation. 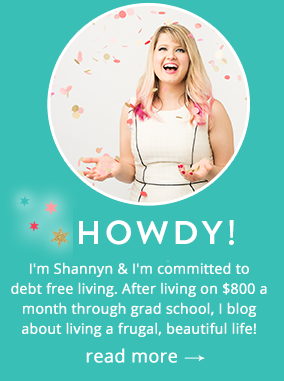 I paid off more debt in one year of having roommates than I did the years I lived alone. Even though so many of us crave independence after college, having a roommate can help get you started on the right foot. Even though so many of us crave independence after college, having a roommate can help get you started on the right foot. A friend of mine found awesome roommates on Craigslist and saved hundreds on rent. Plus, you can save on utilities, internet, Netflix, groceries and more. A roommate can watch your dog if you work late or comfort you if you hear strange noises outside your window. You should always spend 25% or less of your net pay on rent. But the less you spend, the more you can put toward paying off debt or building up your savings. When I had roommates, my rent only cost 14% of my take-home pay. That’s how I was able to pay almost $1,000 a month toward my student loans while putting away money for retirement. Even one year of having roommates can help you save for an emergency fund, a trip to Europe or a semester’s worth of expenses in grad school. Do the math and see what makes sense for you. I wish I would have known this! Housing is so expensive, and I could have trimmed back a wee bit to save at least $1000 a year. This! Cohabitation with other humans is a terrific way to cut costs. You’re right, most college grads with fancy new jobs want it all, including a posh pad. “Who needs roommates, what is this the dorms?” That line of thinking is sort of ingrained though, privilege– especially in America is at an all time high.